The government is not ruling out legislation to make schools more accountable for the children they place in alternative provision, the education secretary has said. 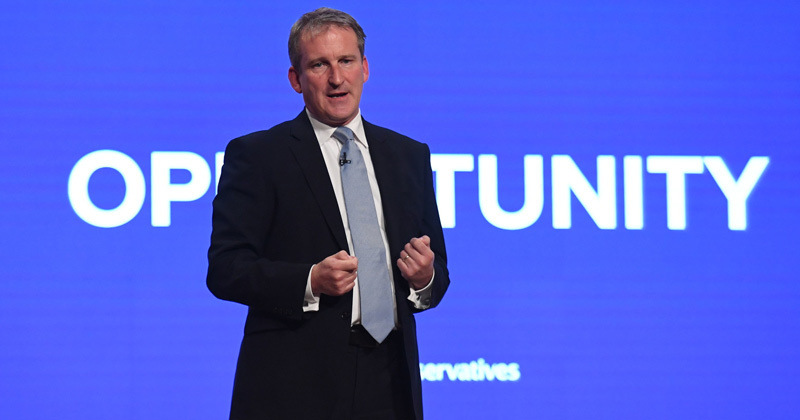 Ahead of a round table meeting about alternative provision at the Centre for Social Justice today, Damian Hinds said a legal mechanism to hold schools to account for permanently excluded pupils is “not off the table”. The Department for Education is under increasing pressure to tackle issues with the quality of schools for excluded pupils after a series of investigations revealed patchy provision. Last year, Schools Week revealed that multi-academy trusts spend three times as much on private alternative provision as they do on local authority alternative provision – even though many private providers have never been checked by Ofsted. Ministers have remained tight-lipped about their plans to improve the quality of AP, pending the outcome of a review into the provision by former children’s minister Edward Timpson. Greater accountability for schools over exclusions was one of the recommendations in a damning report by the parliamentary education committee earlier this year. The government is due to publish its official response to the report later this morning, along with two research reports on the subject. “Permanently excluding a child from mainstream school should only ever be a last resort,” said Hinds. “We support teachers in making these difficult decisions where they are justified, as poor behaviour does have an impact on other children in the class. Hinds said being excluded “should never be at the cost of a child’s education”. “No matter the obstacles they may face or the backgrounds they’re from, we want our young people to receive an education that fosters ambition and a confidence in their abilities. “The harsh reality is that for parents and carers facing the prospect of their child being placed in alternative provision or permanently excluded, this can be a time of huge anxiety. The education secretary’s intervention today comes after Labour announced last month that it will make schools accountable for the results of excluded or off-rolled pupils if the party comes to power. The policy was first proposed by Nicky Morgan in 2016, however was not taken forward by the government.